The exciting conclusion of the Tokyo Regional High School Championship Karuta Tournament! 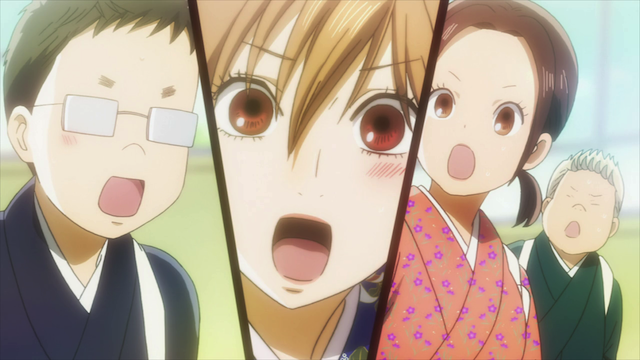 Episode 6 of Chihayafuru season 2 concludes the Regional championship tournament, and it was PACKED with suspense and exciting reversals. Things didn’t really work out as I had expected, but I can’t imagine a more fitting end to this arc. Tsutomu’s confidence was just one sign of how much he has grown since his debut in season 1. 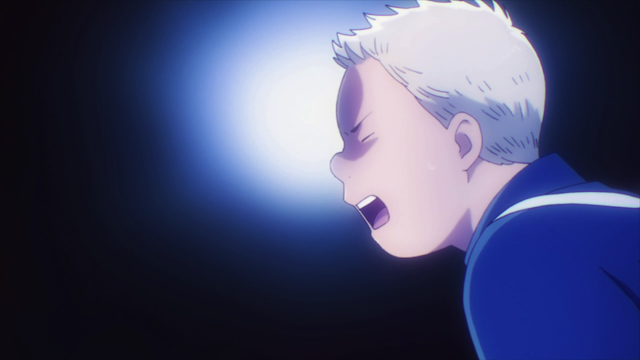 As the episode opened, Yuusei (AKA “Nikuman-kun”) had already lost his game, but Chihaya had broken out her secret weapon. The early part of the episode, then was about Mizusawa High’s come-back, and a great part of that was Tsutomu’s section, in which he holds his own against the opponent that bested him by 15 cards in their match last year. Tsutomu showed his growth in three ways: first his Karuta playing is much better, second, he is far more confident than the desk-clutching bookworm that was introduced in season 1. Third, and perhaps most important, he has a better attitude about life in general, commenting not that he has worked harder than his opponent, or learned more, but that he is sure that he has ENJOYED playing Karuta more this past year. 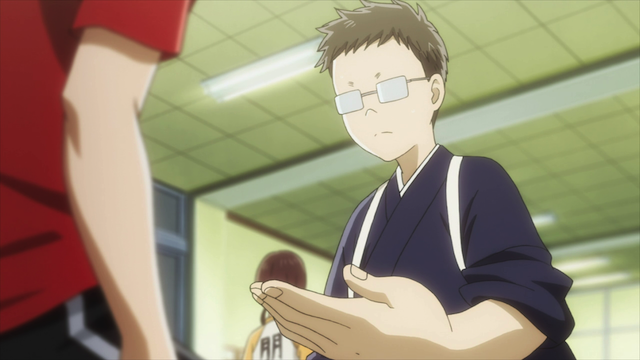 This is, of course, one of the ways that Chihayafuru excels, in the way it shows character growth. Yuusei Nishida is smart enough to know what must be done, but he has lost his opportunity to take action. This episode was full of stunning reversals. Just as we start thinking Mizusawa High is ready to take the cup again, we are treated to Yuusei’s inner monologue as he realizes that a rare but disastrous situation is evolving. Unfortunately, having already lost his match, he has no right to speak, and thus is unable to aid his team mates. This sort of slow-moving train wreck can be fascinating, but it is especially effective when we have the dramatic musical score of Kousuke Yamashita. After the tension inherent in the reveal of Mizusawa’s impossible position, there was another reversal, first Chihaya fanning the flame of hope, then Taichi refusing to speak until he could say he had won his match, and yet more reversals right up to the very end. All in all a worthy match for the title of the best team in Tokyo. Chihaya Ayase’s emotions overwhelm her. Finally there were some great extra bits, including Harada-sensei’s welcoming of new members into the Shiranami Society, and the awkward scene between Chihaya and Taichi as Chihaya receives a text message from Arata Wataya that leads to an emotional outburst.